Was this God's Will or Two Great Scandals on the World’s Biggest Stages. “DejaVou all over again?” Yogi Berra would must be turning in his grave. Hambogate and Gennady Golovkin Scandal seem all too familiar in the world of competitive athletics. See our previous article on Hambogate. 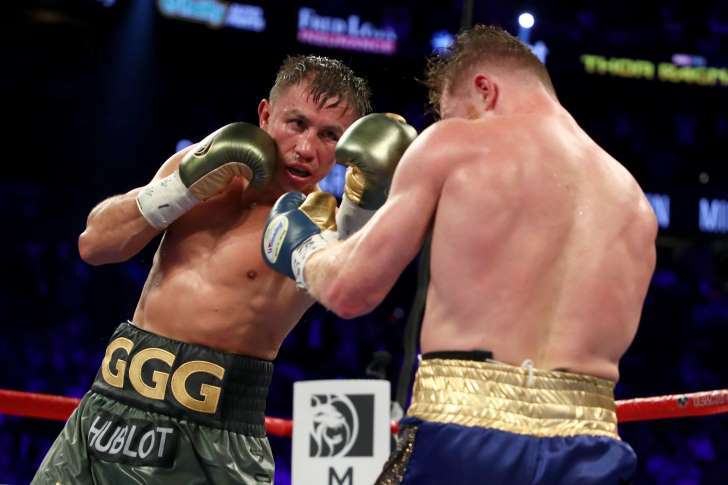 Boxing judge Adalaide Byrd was ripped on social media shortly after she scored the Canelo Alvarez and Gennady Golovkin fight as 118–110 in favor of Alvarez but the criticism also came from those close to the fighters after the split decision. Byrd has a history of unpredictable decisions as a judge in boxing and MMA. She gave every round except for the fourth and seventh to Alvarez but many believed that Golovkin won most of the rounds after he woke up in the third round. "This is terrible for the sport," Golovkin said in the post-match press conference. "It's unbelievable." His trainer, Abel Sanchez, also did not hold back in his post-fight comments. "I think she needs to be reviewed," Sanchez said, according to Andreas Hale of The Corner Podcast. "Go back to school and learn how to judge a fight." Promoter Oscar De La Hoya said that the 118–110 scorecard did not make sense to him. De La Hoya said that he had it at seven rounds to five in favor of Alvarez. The Nevada Athletic Commission executive director Bob Bennett defended Byrd after the match and said that he was planning on sitting down with Byrd to review each round to see why she scored the rounds the way that she did, according to Hale. No rematch has been announced or set but both fighters expressed some level of interest after the botched result. HAMBOGATE 2017; “WHAT THE HILL” HAPPENED?